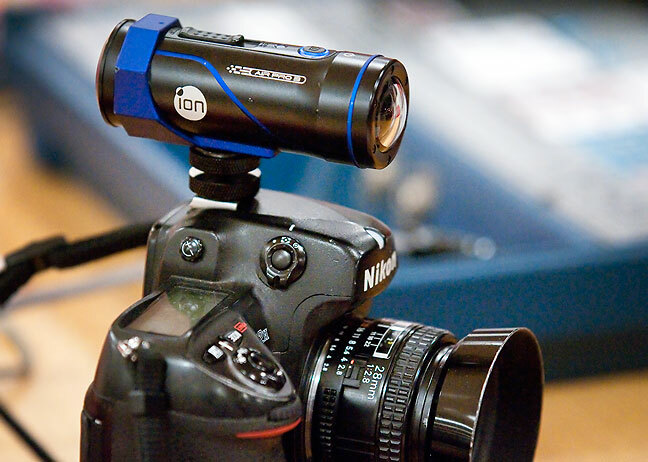 This is my iON action camera mounted on the hot shoe of one of the two cameras I used to shoot Latta at Vanoss basketball Saturday night. My readers know that as a small town news photographer, I cover a lot of, well, small town stuff. One thing I have always loved is small town sports, and how the whole town comes out to the games and has a great time. Saturday, I worked a basketball twin bill, girls and boys basketball at Vanoss High School, who was hosting nearby rival Latta. 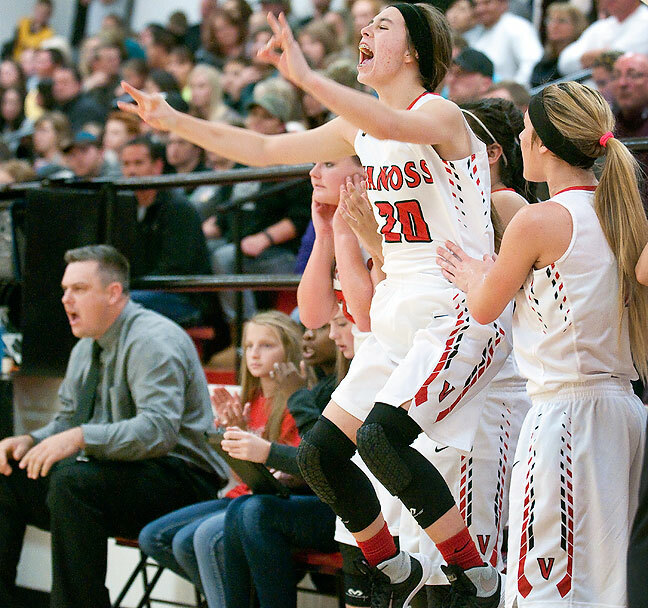 The girls on the Vanoss bench celebrate a fourth-quarter score Saturday night.